The National Historical Commission of the Philippines (NHCP) is reportedly filing a case versus Madonna and her producers after using the Philippine Flag as props at her Rebel Heart concert in Manila on Wednesday. According to NHCP official Teodoro Atienza, Madonna violates the heraldic code for wearing the Philippine flag in one of her performance during her Rebel Heart concert in Manila. Atienza also said that the flag has touched the ground during the stint, which violates Philippine flag law. 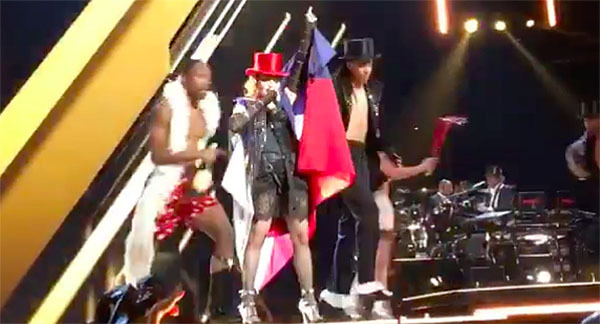 Watch Madonna wearing the Philippine flag during her concert on the video below.